Done by Forty: Do Credit Cards Actually Increase Spending? I stumbled across a Carnegie Mellon paper that attempted to specifically examine the impact of credit cards on spending, and that controlled for many of the pitfalls from earlier studies. Two economics professors, Elif Incekara-Hafalir and George Loewenstein, ran an experiment in a cafeteria over several trials to test the impact that credit cards had on spending. Before entering the cafeteria, consumers in the treatment group were offered a choice of two different coupons: one offered an $8 Amazon gift card if paying with credit, and a $5 Amazon gift card if paying with cash. (The control group was not offered a choice.) To redeem the coupon, the consumers had to provide the receipt and fill out a survey. The study was unique in several ways: for one, it was a randomized experiment being run in a real life consumer situation. And liquidity concerns were mitigated by surveying participants' financial situation, and also because the purchases were so small. It was unlikely that cash buyers were paying less for lunch simply because they had insufficient funds available, and that could be teased out from one of the survey questions: ("About how much cash do you have with you right now?"). In a field experiment, we measure the impact of payment with credit card as compared with cash on insurance company employees’ spending on lunch in a cafeteria. We exogenously changed some diners’ payment medium from cash to a credit card by giving them an incentive to pay with a credit card. Surprisingly, we find that credit cards do not increase spending. However, the use of credit cards has a differential impact on spending for revolvers (who carry debt) and convenience users (who do not): Revolvers spend less when induced to spend with a credit card, whereas convenience users display the opposite pattern. For one, I was somewhat shocked to see that credit cards didn't increase the overall spending when compared to cash buyers. Most of what I've read from personal finance blogs indicates that plastic is likely to change purchasing behavior, and for the worse. Older studies point to the fact that simply seeing a credit card logo might increase the figure a customer would be willing to pay for an item by several hundred percent. But as someone who does nearly all his purchases on a credit card, it was a relief to see this result. I might actually be pulling one over on the credit card companies, and getting free money via rewards without increasing my baseline spend. Go me! The numbers just reported hide an interesting pattern, a difference between participants who report carrying a credit balance (“revolvers”) and those who do not (“convenience users”). Figure 1 illustrates the nature of the difference; it suggests that the treatment, which encouraged diners to pay with credit cards, increased the spending of convenience users, but decreased the spending of revolvers. What this means is that the study found that credit card users who actually pay their credit cards off each month spent more: 15% more! Even more curious: those credit card users who carried a balance actually paid less. The authors caution that broad conclusions shouldn't be drawn from this study, since it is one of the first randomized experiments on the impact of credit cards on spending. They cited the possible effect of the coupon: that credit card users might have felt manipulated by the offer of the Amazon gift card and might have been especially careful not to spend more as a result. Additionally, the timing of the experiment in 2008 and 2009 may have impacted the results as it took place in the middle of the recession, with many consumers having a negative view of consumer debt. So there are reasons to hold off on making broad conclusions from this study, and for waiting for additional research. But if you can't jump to hasty and unreasonable conclusions on an anonymous personal finance blog, then where can you? As someone who pays off his credit cards each month (which I imagine is typical of the readers of this blog), is it possible that my behavior mirrors that of the "convenience users" in the study, and that I may be especially prone to spend more with a credit card? Or is the general finding of the study more applicable? That credit cards don't actually induce higher spending than cash, so we should confidently move forward, churning rewards cards and reaping the benefits. What say you, readers? What do you take away from this experiment? Photo is from shawnzrossi at Flickr Creative Commons. This is so interesting. 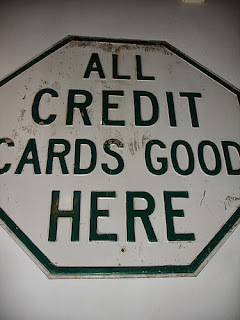 It kind of makes sense that if you had problems with credit cards in the past, you would spend less and vise versa. I guess I won't be using credit cards anytime soon though because I fall into category 2. I was hoping some research would point the other way. Question, have their been studies done on using debit cards? Thanks for the comment! The study referenced in my favorite blogger's post on the subject did note that the credit card effect (in which seeing a credit card logo apparently increases the price a consumer is willing to pay for an item) works on debit and credit. But it's an older study and Evolving Personal Finance wrote an interesting post recently about how consumers now, esp. younger ones, might have a different (opposite?) view of cash v. plastic (credit/debit). It would be interesting to see how the results would change if no reward was offered. I'm wondering if the convenience users justified a higher cost with the Amazon reward card. Basically "since I'm getting $8, so if I spend an extra $5 on dessert, I still come out ahead". Given that they use cards purely for rewards, I wouldn't be surprised if they made that calculation. That's true. The cash buyer could make a similar argument, as they are getting a reward, too (albeit a smaller one). One of the objectives of the study was to incent the consumer to use a card instead of cash (similar to how CC companies offer rewards, now), so the reward had to be slightly higher than if they'd paid with cash. Nonetheless, is there a particular reason to spend more on lunch just because you got an Amazon reward card? Hmmm... interesting. I don't know what conclusions to draw from this study, but I know from personal experience that I spend much more money if I've got cash on me. I generally charge everything to one card and then it's really easy for me to track my spending each month. But if I've got cash - it's sorta like free money, because I know I'm not gonna have to look at the expense on my monthly "day of reckoning". So I really, REALLY try to avoid carrying cash! My general impression is the same with cash, but my problem is that I'm not sure whether I'm actually spending more or whether I'm simply more "aware" of my spending with cash, and that makes it seem like I'm spending more. Evolving Personal Finance had a good post on that same issue you're referring to a while back (link up in earlier comments). I agree with EcoCatLady in the respect that when I carry cash, it is unaccounted for and therefore can easily disappear with no later consequences. I often don't even recall cash purchases. Cash actually gets stuck on the fridge now (not sure why) until it goes into the bank. I do question the study though. It looks like it was a small study and it was only a cafeteria. My experiences with work-oriented cafeterias is that there aren't a whole lot of options or price differences. I wonder what would happen at Best Buy or while one was on vacation. Interestingly, there was a study published in 2008 (not terribly old) in the Journal of Experimental Psych where they found the more expected result: the more transparent the payment method (cash as the most transparent, then debit, then credit, etc), the greater the pain, the less we spend. Love the concept - I find that research can show any conclusion, so I guess it's all about doing your own "study" and carrying the best payment method for your situation. I don't carry any credit cards, I'm too busy to deal with scheduling the payments and the rewards always sucked on the cards I used to carry. If it works for you, keep on keeping on! The CMU article references this study and notes the findings that customers estimate a higher total cost of a basket of goods when they are told they'd be paying with credit than cash. However, the Monopoly Money study doesn't actually use credit cards in a market setting; they ask participants to estimate what a basket of goods would cost (which is different than seeing if customers choose different items depending on payment method). And in the market setting they do observe, they provide gift certificates (for a $1 Starburst, in one case) and compare that to cash, rather than actually examining the use of credit cards. I agree that studies looking at different payment settings like Best Buy would be intriguing, but I don't see how they'd get over the issue of liquidity. For example, if we observe someone paying for larger ticket items with a credit card (like a $2000 television), the higher spending when compared to the cash users might be explained by the fact that hardly anyone would be carrying $2000 in cash. It's certainly an interesting and valiant attempt to take a new look at an old issue, but I'm not sure that I take a lot away from it. For one, as the author's say it's hard to make broad conclusions from such a limited study, even if it does open the door to other types of investigations. But further, for me personally I just don't care too much about the broader data. Credit cards are so much more convenient, and my spending decisions are based around my goals and the budget they dictate rather than any in the moment feelings. Not that I don't make spur of the moment decisions, and I certainly don't meant to imply that I have perfect habits, but on the whole my spending is aligned with my long-term goals and I think that would be true whether I used cash or credit. To me, the problems come more from not having a framework within which you can make decisions rather than the actual method of payment. But I have no data to back that up, so I'm not sure how much that's worth. I hear what you're saying. Though it's possible that your sentiment and the data's finding are in line: the overall conclusion was that credit didn't have an impact compared to cash. Additional studies would be great but I think they're going to run into the same issue of liquidity if the dollar amounts get much higher. I read the study and agree with the conclusions. My wife and I use our credit cards as if they were debit cards, or cash. We like using credit cards for everyday purchases, due to the higher rewards. From watching our budget, credit card, and bank statements, I am sure we do not spend more than we would if we only used cash. We take the same approach, Bryce. I've long held the belief that the plastic might be increasing my baseline spend more than the 1, 2 or 5% rewards I might be getting from the card, but this study might point to that not being the case. I don't have a credit card, I use debit and cash but I am sure that for a highly motivated and self conscious individual, credit cards should not increase spending. But still, it probably is more difficult for most of us to take all things into consideration when it's so easy to give the card and worry later about how you'll pay for what you're buying. That's the rub: it's hard to take all factors into consideration and to parse out any impact that the payment method may have on our purchasing decisions. But I'm hopeful that the study's finding (that payment method doesn't matter) may bear out. The bit about convenience users is a bit troubling though. This is really good stuff. I love the research. I'd like to see more of it published on this topic. For me, the only real surprise here is the fact that consumers who pay of the bill each month tend to outspend those that carry a balance. I do find that odd. Thanks, Jacob! That finding about convenience users is definitely the most surprising part, and I think it has the most interesting impact for personal finance bloggers. If people who pay their bills every month are somehow prone to higher spending due to rewards, then pocketmint.com's article could be right: the credit card rewards system might be gaming us (PF bloggers in particular). Fascinating! I'm glad someone finally took a stab at a legit study of this issue - you hear that belief, that credit cards "make" you spend more, parroted around everywhere, but I haven't seen any hard evidence to back it up. And I personally don't believe it, simply because it's not true in our household. The study may have its flaws and it may be hard to draw hard conclusions from it, but I think it's a step in the right direction - and it certainly makes for an interesting read! Thanks for sharing! Thanks, Kali! My general takeaway was just that the study was really interesting, too. Oddly, I think this is one of those situations where you can take what you want from the study: there is evidence that payment method has no impact, and there is also evidence that within the base of credit card users resides two segments of consumers: some who spend less and others who spend more. Yes. Yes they do. I whip out my credit card and don't think about it. In cash, I think about it a little longer, but not by much. Then again, I use my card like a debit card or cash (I go home and immediately pay it), but I don't see the money disappear which makes it easier to spend. Interesting. You might fit the profile of the convenience user in the study: prone to spend more with a credit card than with cash. Thanks for stopping by the blog and for commenting. I'll head over to yours and check it out. From personal experience, credit cards actually trick me to spend more. When I swipe, I don't have to count how much I'm forking over, which makes me lazy with my tracking. I think when you have a balance you must make to get a certain reward, you can be encouraged to spend more. But at the same time, studies like this don't always take into consideration where a person lives and their proximity to shopping, which can definitely have a huge impact on money spent! Thanks for your comment. I hadn't considered proximity to shopping. In this case, the study was in a cafeteria of an office building so, at least for this lunch, proximity was really close to the consumers. Are you meaning that if we live closer to stores, that we might see an impact on spending? We use our credit cards for all possible spending because of the rewards. I wonder if the convenience card users spent more because they can. They aren't in credit card debt so they likely have more discretionary income. That's possible, but I think the control group (which also included convenience users) should have been able to allow for that impact in the treatment group. I'll admit that I'm no social scientist though, so maybe I'm not seeing the data correctly. Maybe the revolvers spent less since they don't want to reach their limit? I think it's tough to say (or conclude, as the study stated), but I would be more interested in knowing the reasons why people chose a more/less expensive option over another, and if there really is a correlation between their meal option and whether they're a revolver/convenience user. Also, 15% wouldn't be so much for a meal - it might just mean a sandwich with avocado versus one without. Though, I suppose there might be something in that (like one is freer to make more "add-on" choices as a convenience user versus revolver). I'm babbling (hopped up on cold meds), but it would be interesting to see what further studies would show. That's a good point about revolvers: they may have their own form of liquidity constraint to deal with. I agree that 15% on a lunch is not a big dollar amount but it's big enough to exceed the typical rewards payback on the credit card. I think that'd be the big risk for a convenience user like me: feeling like I was gaming the system, but ultimately spending more. I think I'll try to reach out to the authors to see if they'd be open to an interview...would love to dig deeper. Great post and interesting info, DB40! When we were using CCs, we would definitely spend more. Now that we are on track with a financial plan, we are very, very careful, and use them only after lots of consideration and a double and triple look at what we're buying. It's so easy to view CC purchases as not being "real" money. I agree that the "funny money" aspect of CC makes it potentially easier to just spend now and worry about it later. Though I wonder now that you're so on point with your financial plan, might that impact be mitigated/eliminated? I'm not sure, but I know that at least right now, we're being extra cautious. I started using a card in the spring for gasoline only, but things got out of hand real quick, so we went back to cash. I think Holly's right when she says it depends on the person. Maybe we just need to get stronger first, on a psychological level. I agree with that idea. These studies are looking at human behavior in aggregate only, so there's an incentive to really know your own behavior. Know yourself and the rest falls into place. It probably depends on the person. We do all of our spending on credit for rewards and pay it off every month. I hate using cash so this strategy works for us. I actually think it helps us track our spending since I can see how much and where we spent money at any time by bringing up our credit card account online. For some reason I would think it would make people spend more because cold hard cash seems more "real" and once you spend it it's immediately gone where you can feel the impact, where cc you sometimes feel you have all this time to wait to pay it back. Interesting! Right! Mom @ Three is Plenty is citing another study that cites that pain (Emily Capito cited another higher up in the comments). That pain of spending cash puts downward pressure on spending, apparently. That's so cool that you got to hear some of these professors lecture. I actually spent a summer at CMU back in high school for this super nerdy program called Andrew's Leap, but we unfortunately spent our time coding and playing ultimate frisbee, instead of learning about personal finance and behavioral economics. Cash back and rewards are enough of an incentive for me to use my credit card for just about anything. In fact, I get annoyed when I have to pay in cash or with a check. We're the same way. I hate carrying cash. I think some people do but I personally don't. I actually spend more money when I have cash. Cash burns a hole in my pocket. I feel similarly to cash but, thanks in part to the studies that other posters have linked to, I wonder if I'm simply noticing the cash being spent (i.e. - feeling the pain of spending cash). So, am I actually spending more, or just noticing my spending more often or more acutely? My only real reaction to this is that we need more research on this topic. One study is not enough. I think this study is fairly unique in that it specifically addresses the impact of a consumer's choice in payment method in a real market setting. I agree further studies would be great. But other posters have cited studies that deal with the same issues. I don't really agree with the conclusion of the experiment. Based on personal experience, credit cards DO increase spending especially on the hands of someone who doesn't have cash. It's a scary tool for people unable to resist temptations. More research should be done I'm afraid. That's certainly possible, but I'd have to see data that represents that rather than anecdotal evidence. It definitely sounds counter-intuitive and I'm with DC that they might need to do more studies on it. I think the general consensus is that you spend more with a credit card. I'd like to think that I'm pretty good with spending whether it be with credit or cash, and that using credit doesn't induce me to spend more, but in some ways I think it probably does. I do like credit card spending to get rewards and so I don't have to get change. I agree that seems to be the general consensus and I'm not entirely sure what to believe re: credit cards impact on spending. That said, I'm like you in that I put my spending on the card. So how convinced can I be of their risks if I continue to use them instead of other options, like debit or cash? The fact that rewards are offered for credit card use is proof enough that consumers are being urged to spend more and if one has not enough discipline, there is the tendency to be swipe-happy. 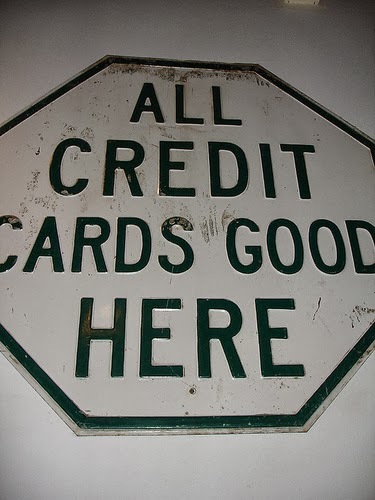 Credit card or cash, it is a matter of knowing when to stop. I'm not sure it's that simple. Rewards cards almost always have higher merchant fees: the card companies could simply be incenting the cardmember to use that card in order to collect the higher fees from the merchant.